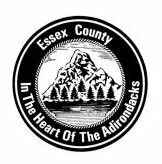 Essex County is governed by a Board of Supervisors, elected by their respective towns. Each supervisor receives a weighted vote which is based on the population of the town represented. Board members select a Chairman and Vice Chairman from their numbers. The Chairman appoints supervisors to committees of the Board. The Board meets on the first Monday of the month at 10 AM to discuss, debate and vote on items ranging from the County budget, authorizations to expend or receive funds, supervision of the County staff, appointment of Commissioners and Directors, and similar activities. All Board members are also members of the Ways and Means Committee, which passes on resolutions that subsequently come before the full Board. Please visit the home page to see the link for the current schedule. Board members also serve on committees that manage the activities of the various departments that make up the County or examine items of special interest. These committees include Human Services, Public Safety, Public Works, Finance, Tax Reduction and Mandate Relief, Economic Development and Planning, Personnel and Administration, and Legislative. The Board is supported by the Clerk of the Board, who is responsible to the Board for day to day administration, recording minutes, scheduling meetings, and other activities that ensure efficient management of Board activities.